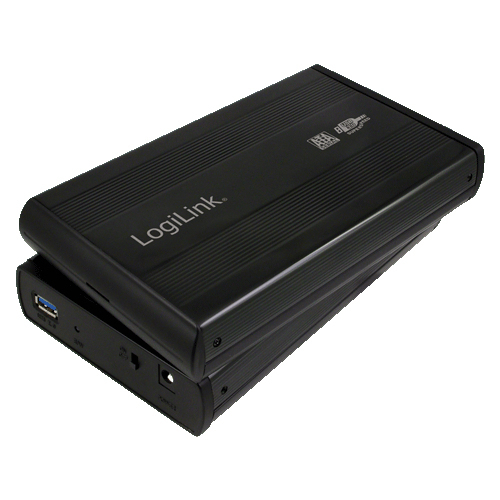 External aluminum case from LogiLink for installation and operation of 3.5 inch S-ATA hard drives. Standard size. Compatible with all notebook hard drives. 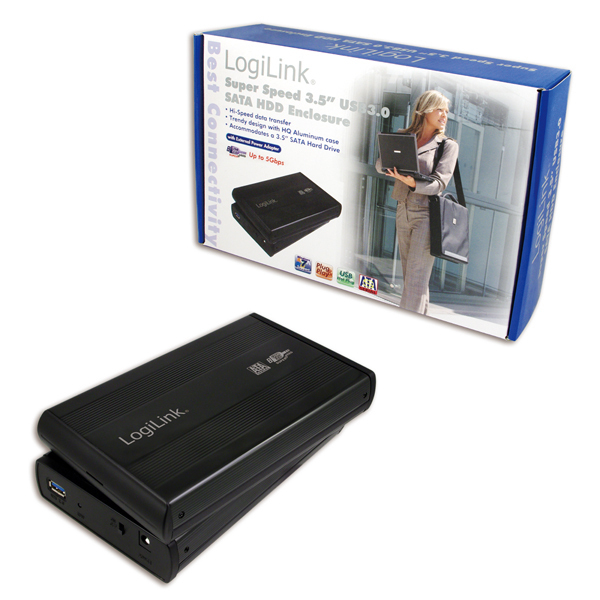 Connection via PC or notebook via the fast USB 3.0 Super Speed interface. USB stands for Universal Serial Bus and is working with a transfer rate of up to 5 Gbit/s. The connection is simple and the device is recognized by modern operating systems automatically.